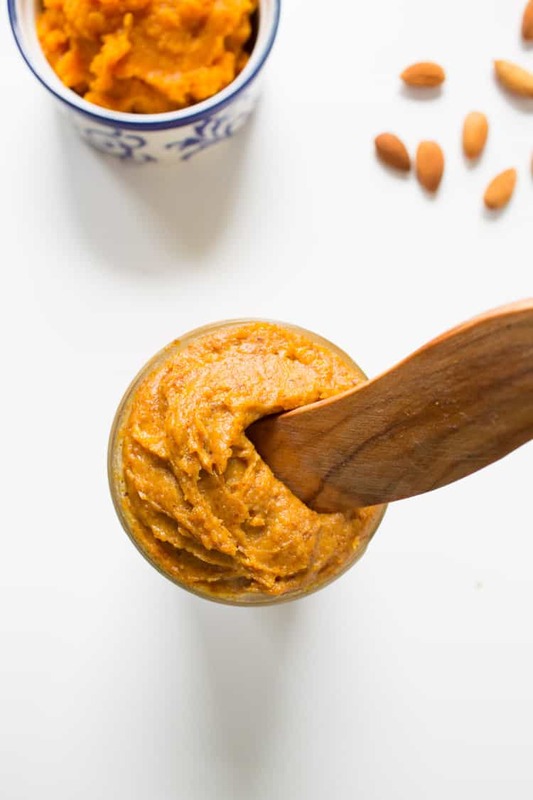 Maple pumpkin almond butter is the ultimate fall spread – requires only a handful of ingredients and it takes less than five minutes to make. Spread this nut butter onto all the fall things. Last weekend, Steve and I took a trip to Vermont to see the fall foliage and it totally got me in the fall spirit. Also forced me into a little bit of the winter spirit as believe it or not it snowed while we were there (EEK!). We hiked. We drank warm apple cider and ate cider donuts. Picked out some pumpkins. And brought back some maple syrup from a maple syrup shack. Coming off this quintessential fall weekend, I decided to make a nut butter that screamed fall with maple and pumpkin flavors. 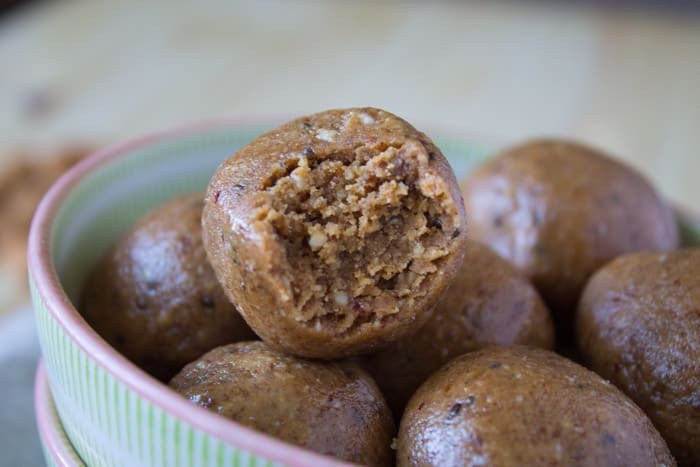 This month’s recipe redux theme is nutty nut day because National Nut Day is tomorrow, October 22nd! 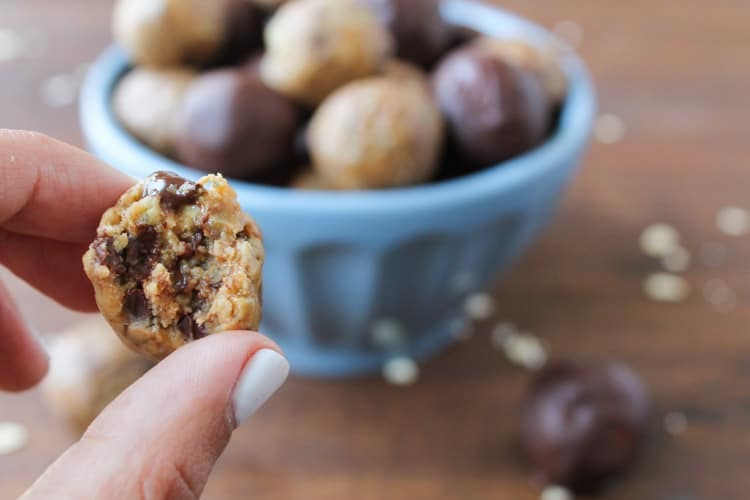 So we were challenged to get nutty and create a nut-centric recipe. I originally planned to make this almond butter from scratch using roasted almonds but I learned the hard way that once you’ve got your creamy almond butter in the food processor you don’t want to continue processing in the pumpkin because you will just get a greasy blob of a mess. 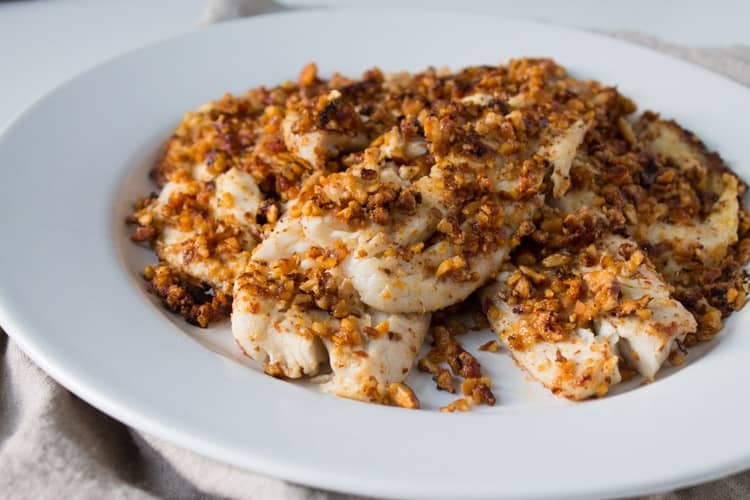 I was so disappointed and for a second thought that I wouldn’t be able to contribute to recipe redux this month because of my #recipefail and the fact that I was out of almonds. 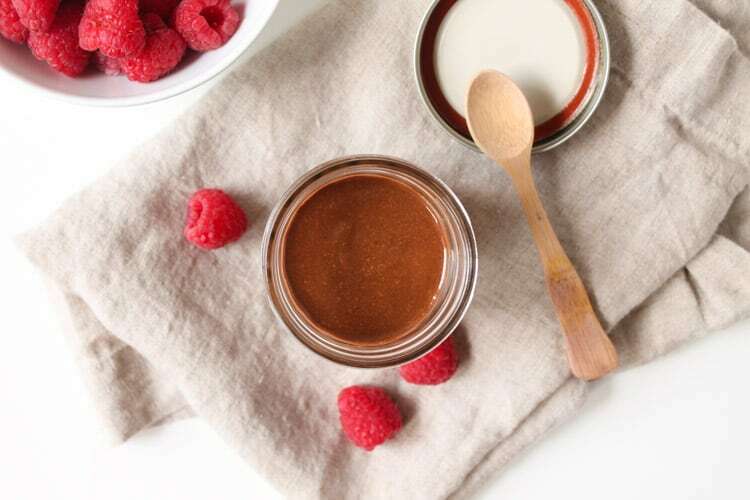 But then almond butter to the rescue – I remembered I had a full jar of almond butter in the pantry so I decided to make the recipe using pre-bought nut butter. 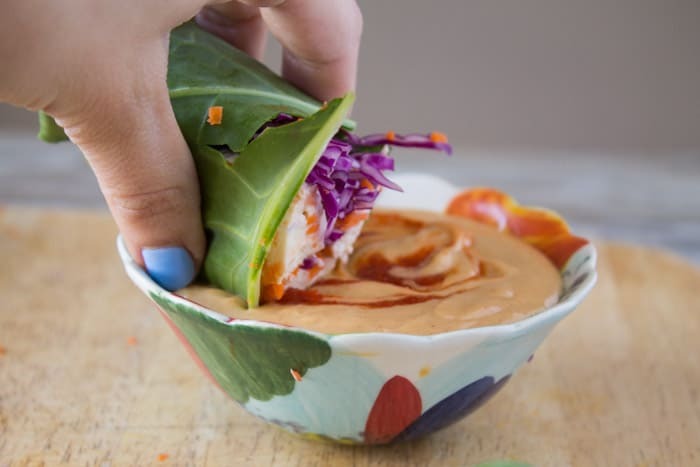 If you decide to make this recipe from scratch, just remember to fold the pumpkin into the almond butter and don’t add it to your food processor or blender. I love this recipe because it requires a total of five ingredients and takes less than five minutes to make. 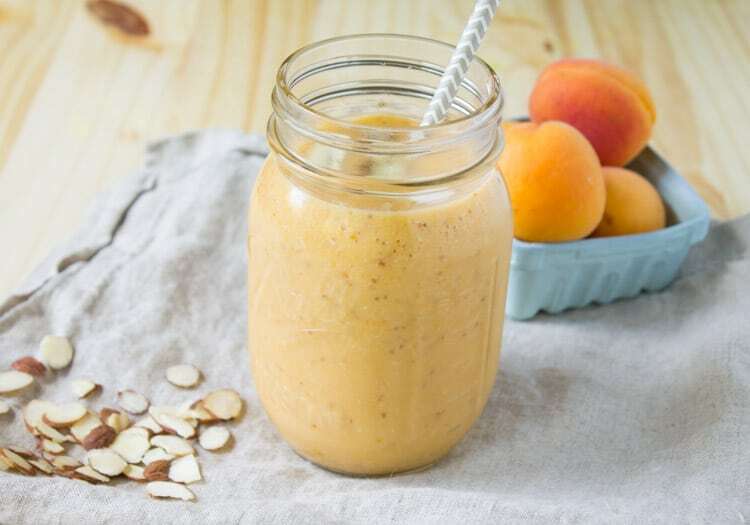 Plus, it’s packed with protein, vitamins and minerals, antioxidants, and healthy fats. 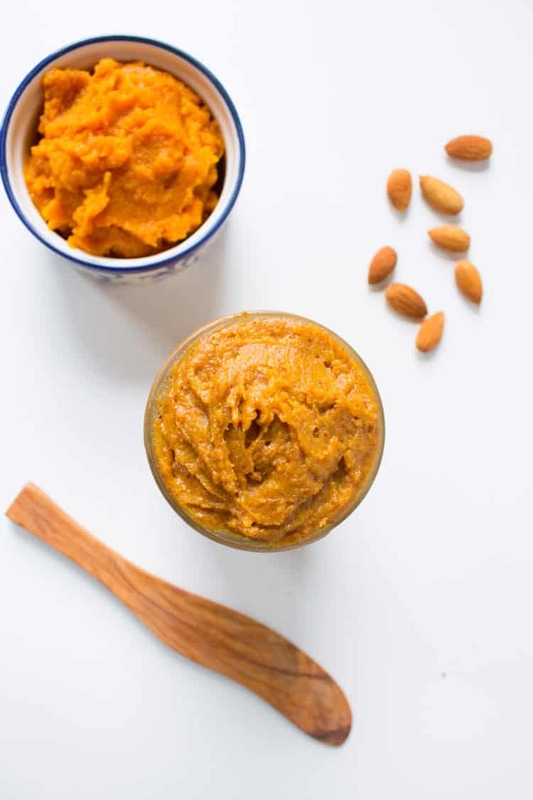 If you’re anything like me than you probably love the taste of pumpkin butter but pumpkin butter is typically loaded with sugar and doesn’t contain any satiating nutrients. 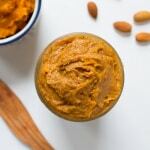 This pumpkin almond butter is a much healthier alternative with some staying power that you can spread on anything you would use pumpkin butter for. In a medium mixing bowl, add almond butter and fold in pumpkin, maple syrup, pumpkin pie spice and salt until combined. I’ve never made my own nut butter! It looks so easy, I’ll have to try making it some time. Anything pumpkin is a hit with me! Ooh, Kara…this sounds amazing! Totally needs to go on my must make list! I love this! Looks so yummy! This sounds just dreamy! Perfect for chilly fall mornings. 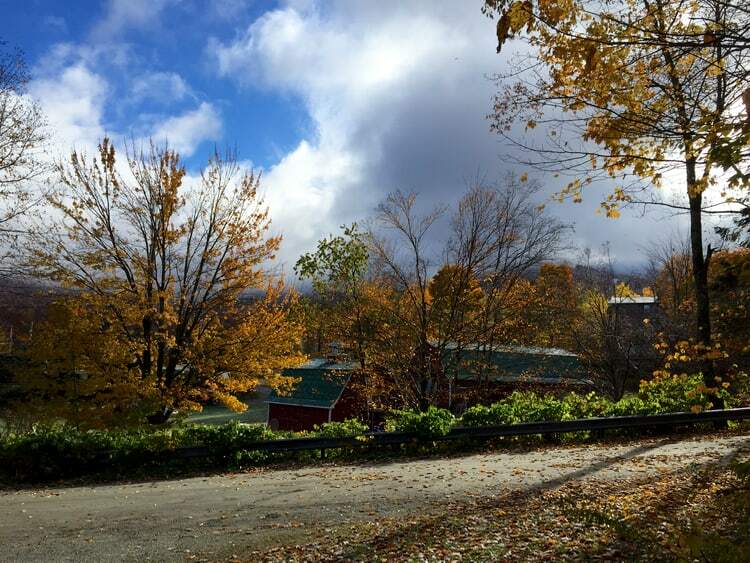 Great flavors and Vermont is on my list of places to visit, especially after these gorgeous pictures. Thanks, Brynn! Yes, I’m lucky to live so close to VT! One of my fav places. Oh this sounds so luxurious! I love almond butter but this is definitely an upgrade! This is genius! never would have thought to mix the two together. Mmmm! Pumpkin spice on a whole new level. This sounds delicious!! And your weekend sounds amazing. I could go for some fall foliage here in Texas! Now THIS is a great idea. Loved hanging with you for a few days. The pics of VT are gorgeous. So interesting about your #recipefail. (: Thanks for experimenting…so we can all learn! Thanks, Serena! Loved hanging with you in VA too! Haha funny that we were just talking about our #recipefails – I’ll add this one to the list of learning experiences! Thanks, Janice! Definitely 🙂 Enjoy! Great question! Store it in the refrigerator (mine is in a mason jar) and use within a week. I love making my own nut butter especially almond. I never thought to add pumpkin. 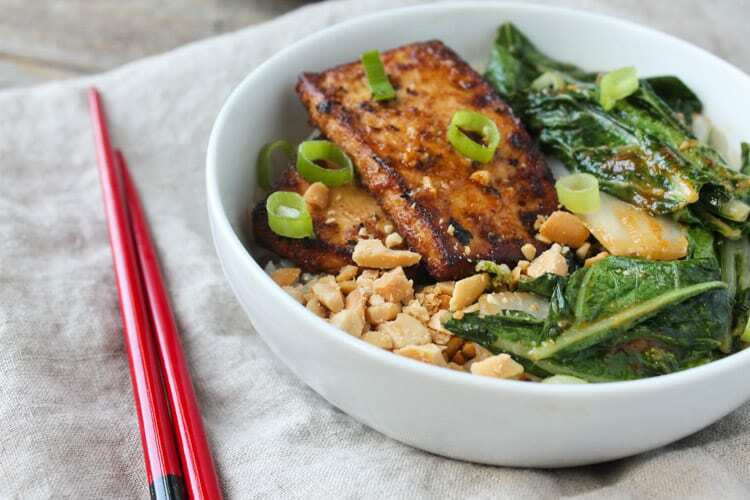 Recipe brilliance! Thanks, Karielyn! Agreed, you can spread that nut butter onto an-y-thing. Well I am glad you were able to find that almond butter, because this looks delicious! I have never had pumpkin butter before but I am definitely going to be making this! Thanks! Haha I am too! Because I’ve been eating this nut butter nonstop since :). Let me know what you think when you try it! Oh yum! 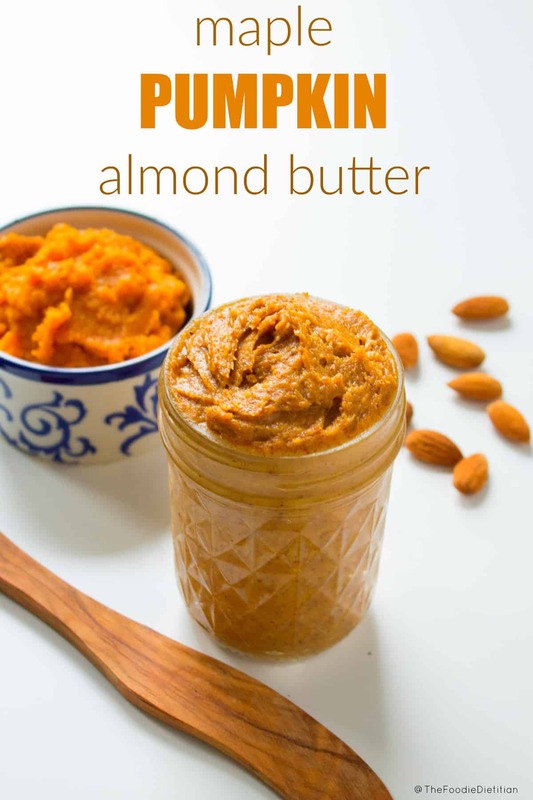 Almond butter and pumpkin is an inspired combo – can’t wait to try it.